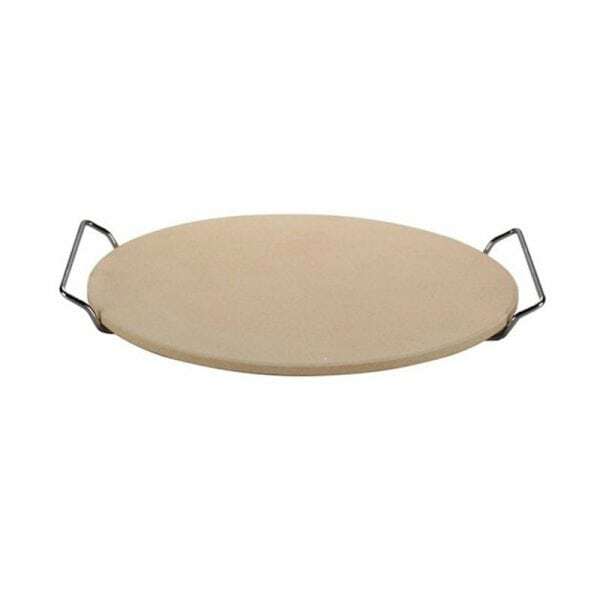 With this CADAC pizza stone plate you can bake yourself the best pizzas in an authentic way. This beautiful ceramic stone ensures you a wonderful base every time and a good cook on your pizza. The stone is 33cm in diameter and 10mm thick, giving it a good solid surface area. He will come standard with a chrome bracket so you can pick it up easily and can withstand temperatures up to 500 ° C.
You can use the stone on the Carri Chef, Citi Chief 48, skottelbraai, charcoal grills, electric ovens and gas grills. The only thing it is not really suitable for is gas ovens. For more CADAC products, click here.